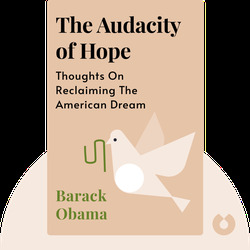 The Audacity of Hope is based on a keynote speech Barack Obama delivered at the 2004 Democratic Convention, which launched him into the spotlight of the nation. It contains many of the subjects of Obama’s 2008 campaign for the presidency. Barack Hussein Obama II is the 44th president of the United States. He was a community organizer in Chicago before earning his law degree and working as a civil rights attorney. He taught constitutional law at the University of Chicago, served in the Illinois Senate and later represented Illinois in the US Senate. 2008 he became the first African American president and was re-elected in 2012. 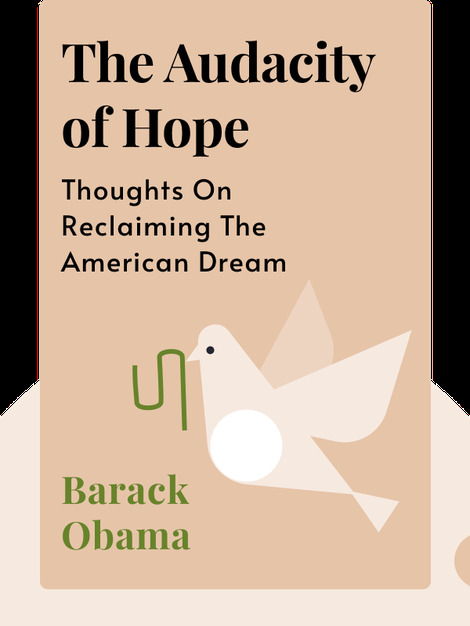 In 2009 he was awarded the Nobel peace prize "for his extraordinary efforts to strengthen international diplomacy and cooperation between peoples."